Everybody keeps asking me what my future holds and what I plan on doing with myself and this life. As much as I try to come up with some socially acceptable answer, all I can say is I don’t know. I don’t know what’s next and I don’t know how I’m going to get there. The overwhelming fears of where I’m going, where I should be, and how (by societal standards) I’m not there yet leaves me stagnant. For the sake of my mental health I have to believe that I’m right where I need to be and that I’m here for a reason, even if I don’t know what that reason is. As I was writing this piece, a friend said she wanted to hear my truth. Whatever it was, whatever I was ready to share, she wanted to hear it. The truth isn’t always pretty. It often leaves me feeling vulnerable and exposed. Most days I want to hide away from the world, but I actively choose to face my insecurities head on. Hiding means losing out on some important lessons and the people who teach them to me. So, here’s my truth. As an easily overwhelmed, overweight twenty something with a stubborn streak, crazy laugh, bright hair, and a wheelchair, I am a visible character on campus and in our community. Some days, I embrace this. I belong to an incredible community. I really do love this town. Other days, it is nearly impossible to get out of bed, much less leave the house and face people who know nothing about me, yet still feel the need to pity me. I do eventually leave; I just turn the music up louder than normal and surround myself with those who understand what it’s like to need to be around people but quiet, lost in your own thoughts. Let me make something clear: The people are absolutely the best part of this town. Only some days, they’re also the hardest part. I know I’m lucky enough that if I ever have troubles with my wheelchair, hit a curb wrong and fall, or just need a hug and a strong drink, there are several different people who would (and have) come to the rescue. These same people are around for the good things as well: movies at our historic movie theatre and snowy walks home, hours of rehearsals and performances each spring to support the end of violence against women, to talk about books music we’re recently obsessed with. However, light cannot exist without dark. 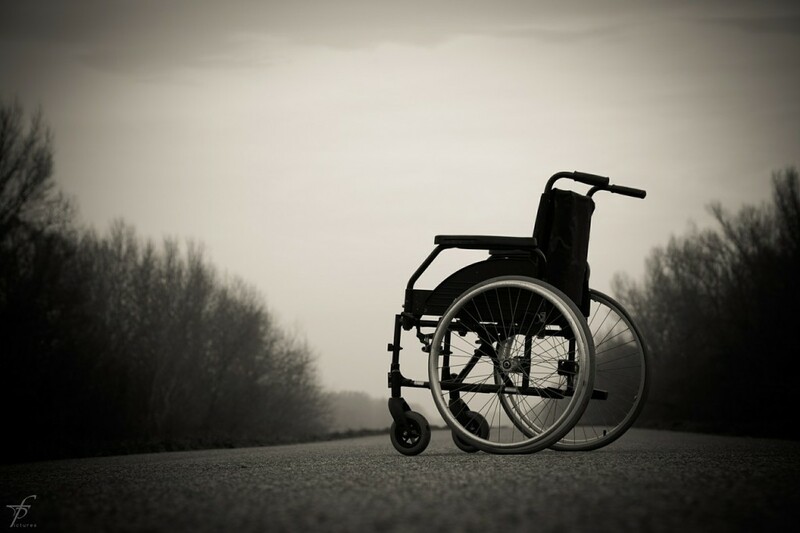 I’ve lost count of how many times a stranger has approached me to ask why I don’t have an electric wheelchair, or where my helper or personal attendant is, or what I’m doing out all by myself. They don’t take it well when they learn I don’t have an electric or motorized wheelchair by choice, I do not need a helper, and I am a grown woman who values independence. I thank my lucky stars every single day that I can go places and do things on my own. Their reactions range from surprise to confusion to frustration as to why I wouldn’t do what they think is best for me. Some tell me what an inspiration I am and how strong or brave I am. I do not want to be your inspiration. I am not strong or brave. At least not for the reasons you might think. I’m human not a martyr. I make mistakes. I overreact. I definitely whine more than I should about things that don’t matter. I become attached too easily. Struggle is struggle. I face the same problems in life and love and letting go that everybody else does. Feeling sorry for me because I have a lifelong disability is akin to me feeling sorry for you because you can walk on your own two legs or see with both eyes. I have never known any different life than with this wheelchair, these legs that won’t work right and my one good eye. If you see me around and want to help, no matter the reason, feel free to ask; the answer will likely be ‘yes, thank you.’ If you see me and do not want to help, (again) no matter the reason, please continue on your way without accord. There’s no reason to stare or feel guilty. Staring is rude, and there’s no reason for you to feel guilt. Choosing not to help, whether it’s because you’re busy, in a rush, or think I just don’t deserve to be helped, does not mean you’ve done something wrong. It’s your choice and I’ve not asked for your help, pity, or guilt. While I appreciate genuine, well-intentioned help, I am an independent woman and will be okay without it. Indeed, it’s probably good for me. So, I don’t need a different wheelchair, a personal care attendant or somebody to be with me at all times. What do I need then? I need you to completely strip away this idea that you know who I am or what my life is like. You have no idea. That’s okay because I have no idea what your life is like either. All we can know is our own absolute truth. All we can do is love each other, especially if it’s hard because that’s probably when it’s needed the most. Reprinted from HaveHeart Magazine. Ashley Centers can be found enjoying the adrenaline rush of wheelchair vs Moscow hill, cuddling cute babies, writing haikus, or participating in some sort of activism work and will probably have her headphones on and the music blasted.